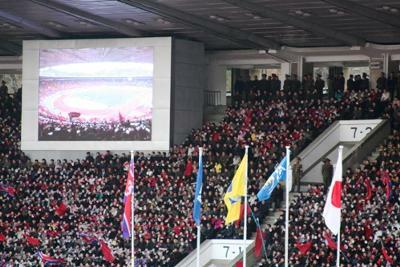 Here are some more pictures of the match between North Korea and Japan on the 15th November 2011. They are courtesy of Mark Revell who took them while at the game. Enjoy! Despite having multiple chances in the first half, the mighty Chollimas did not manage to score in the first half. 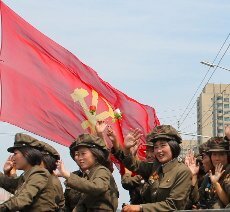 North Korea saw no less than 8 yellow cards, having a man sent off in the 78th minute. 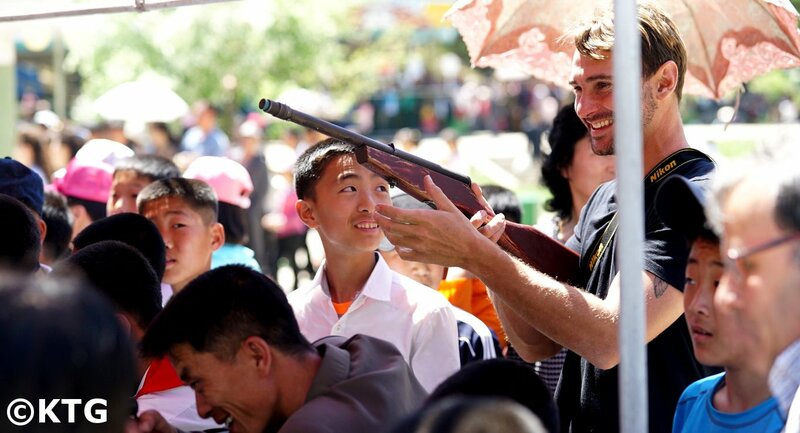 In spite of this they managed to keep the result and beat Japan who had not lost since the World Cup finals. 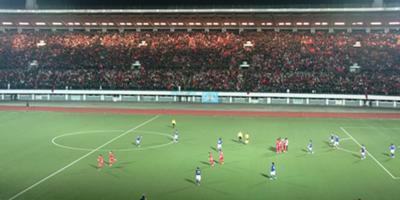 What a crowd! 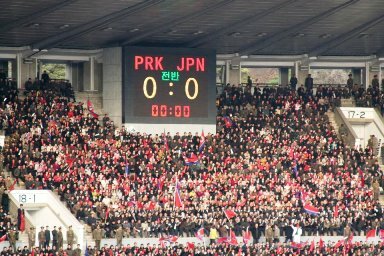 Does North Korea still have a chance to make it to the World Cup finals in Brazil 2014?